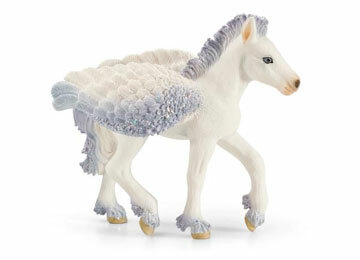 Schleich 70448 - The Pegasus foal is still so small and delicate. Yet, just like his parents, he can climb way up in the sky with a few flaps of his wings and can already almost fly as high and fast as an adult flying horse. The little foal looks like a sparkling comet with a tail of stars in the sky and all the elves love the little creature from the bottom of their hearts. 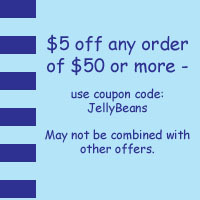 Measures 3" x 3.5" x 1.5". Figures are hand-painted.